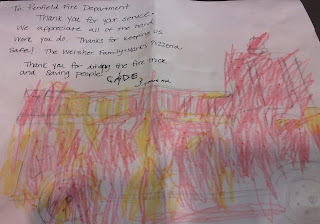 As drill for the volunteer firefighters began last night a pizza delivery man walked up to the door carrying several pizzas from one of the local establishments generously donated by a local family. The story starts on Wednesday September 11th as an anonymous woman called and wanted to donate some pizza as a thank you for our service. She was told that the best time to donate food wouldn't be till our next drill night the following Tuesday a week away. 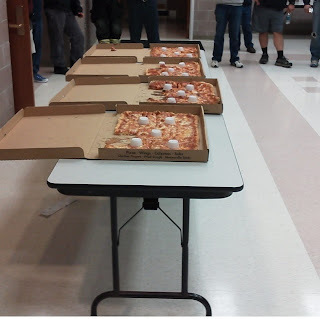 Well she didn't forget as 4 sheet pizzas which totaled just about 60 dollars came to the door and then were laid out in the meeting room for the volunteers. This would bring drill to a screeching halt but for good intentions. Volunteers had a chance to gather around and grab a bite to eat as the night began to progress. Even as volunteers have already answered 3 calls this morning they are still picking over the few left overs from the night before. This pizza did not go to waste. 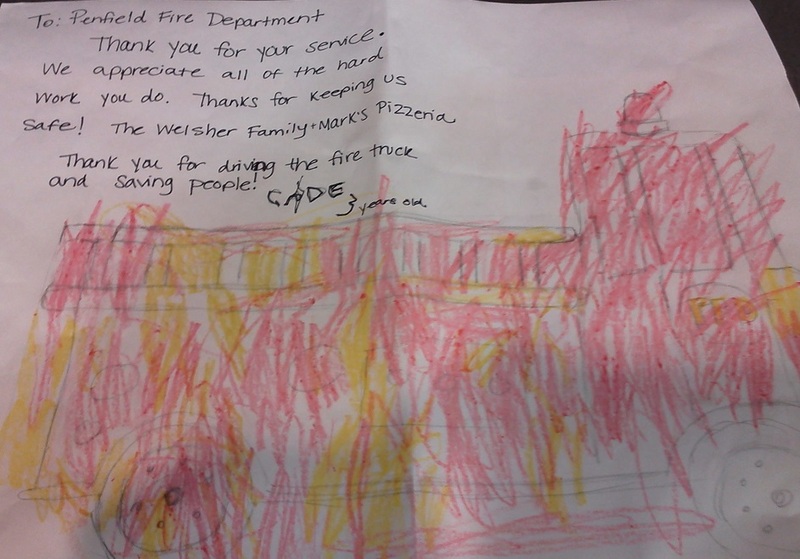 We sincerely like to thank the Welsher family for the generous donation and card for thinking of us. We are proud to serve Penfield and its citizens through any emergency day or night, 24/7.